The true test of friendships is not how much or how often you turn up together, but how fast you mobilize and gather the troops when some ish hits the fan. I’ve had most of the same friends for close to or over a decade, but even in my new relationships, it amazes me how God has placed so many women (and men) around me with like minds and connected souls. So, when one of my kindred spirits hurt, I hurt, and immediately channel my inner Olivia Pope. 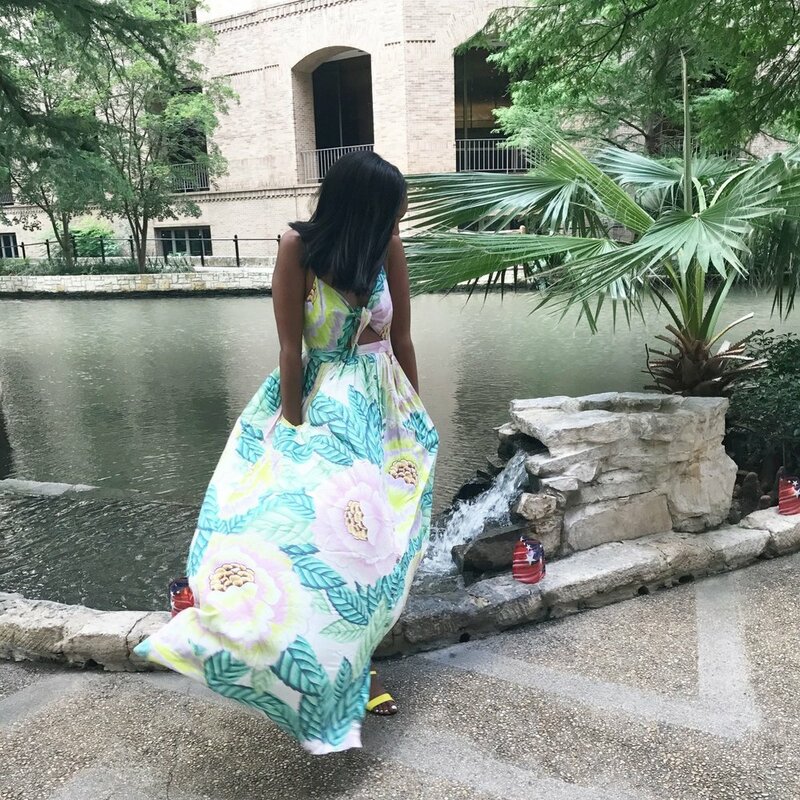 One of the best things about living in Houston is being so close to some popular getaway cities, like San Antonio and Austin, for impromptu road trips and hotel sleepovers. San Antonio is honestly one of my favorite cities for overnight trips, because it is filled with so many things to do, making it the perfect place to indulge in adult beverages and forget about the woes of life. I’m going to be honest and admit that when life gets hard, my suggestion is always to pack a bag and book a flight, but on short notice, we opted for a room at one of my favorite San Antonio hotels, Hotel Contessa on the Riverwalk. And being that I am the designated trip planner, in all of my friend circles, I set to put together the perfect itinerary with just the right amount of libations to make this trip purposefully lit. Being that San Antonio is a place frequented by tourists and is known for its infamous Riverwalk, there are enough hotels to fit the preferences of even the pickiest travelers. On this trip, I chose Hotel Contessa, mostly because of its swimming pool, however, one of my other top picks is Hotel Valencia, which is also on the Riverwalk. Since I I prefer to stay in areas where I can walk to most attractions or places of interest, I recommend being centrally located, but there are several great hotels all over the city. It helps to have your itinerary mapped out, so that you can minimize your driving while on such a short trip. The Riverwalk. The Alamo. Madame Toussaids. Schlitterbahn. Six Flags Fiesta Texas. The list goes on and on. San Antonio is filled with so many gems to explore at your leisure, and it will definitely take more than one trip to see them all. While this remains one of the few things on my San Antonio bucket list that I’ve not yet been able to cross off, the Natural Bridge Wildlife Ranch offers visitors the opportunity to take an African safari from the comforts of their vehicles from 9-6pm daily. On top of being able to view over 500 animals, the ranch also has a Restaurant, sweet shop, trading post, walk-a-bout and petting barnyard to cater to the needs of all age groups. For $10, you can get 2 tours for 1, at the Ranger Creek Brewing and Distillery. On select days from 2-4pm, visitors are walked through Ranger Creek’s process of making beer and bourbon along with select tastings of some of their best-selling concoctions. Click here to check out their events calendar, and if you have a thing for libation tours and tastings, check out our blog on visiting Messina Hof. A short commute away from San Antonio are the San Marcos outlets. As a recovering shopaholic, I try to stay away, but for those that are down to swipe a card or two, the San Marcos Outlets are filled with your favorite brand names, including high end designers like Gucci and Prada. There are great dining options all over the city of San Antonio, but I personally love people watching on the Riverwalk. Even though the Riverwalk can be considered somewhat of a tourist trap, you can still find great food, a table with a view, and yummy margaritas to sip while you chat with your companions and watch the eclectic mixtures of tourists.